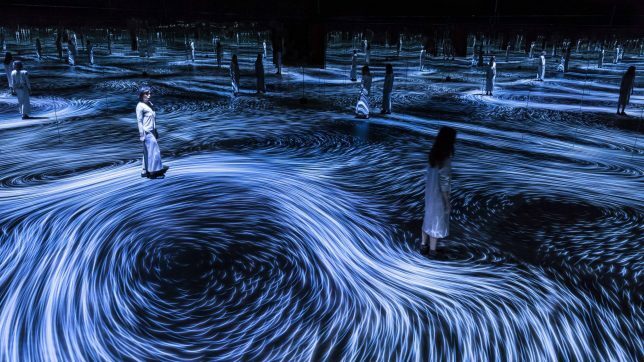 Create a visible ripple effect as you move within this dazzling interactive infinity room by Japanese collective teamLab, producing your own unique wave patterns influenced by your gestures, movements and speed. 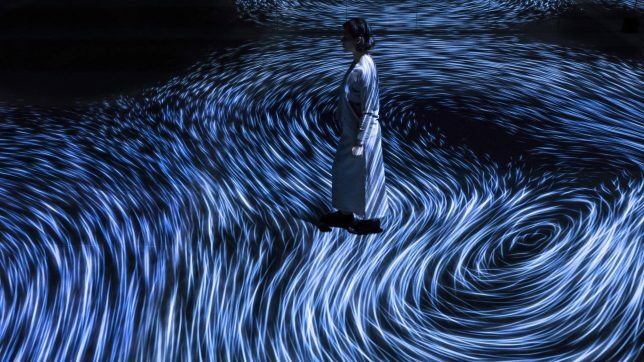 For their new installation at the National Gallery of Victoria in Melbourne, Australia, entitled ‘Moving Creates Vortices and Vortices Create Movement,’ teamLab took inspiration from the ocean and all of the ways in which the currents and flows of water are altered by objects and environmental conditions. 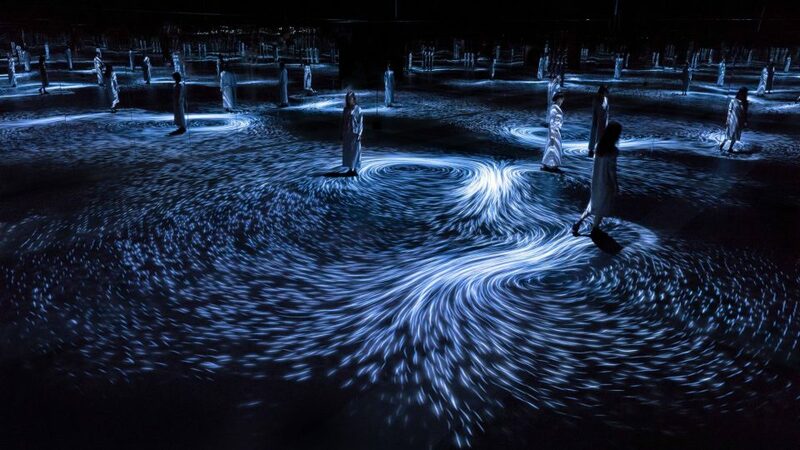 This video shows off the stunning effects as a lone visitor makes her way through the room. 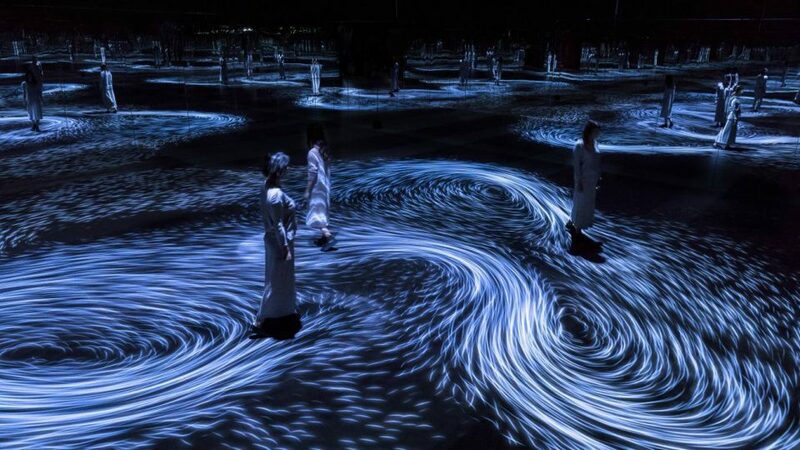 You can see as each of her steps results in a flurry of tiny light particles that transform into lines and then form patterns, ultimately joining together into the vortices referenced by the name. The faster she moves, the stronger her ‘force’ is exerted upon the waves.